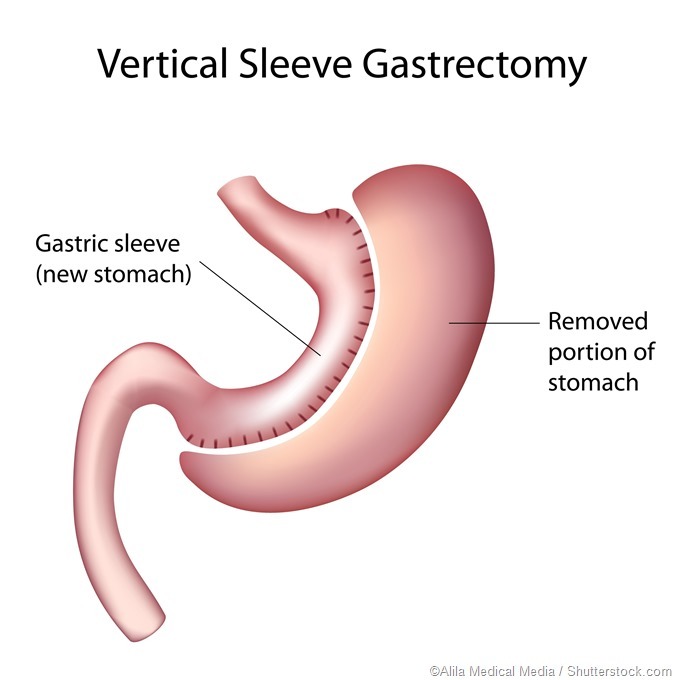 Also known as a gastric sleeve procedure, sleeve gastrectomy involves removing around 80% of the stomach and leaving behind a thin, banana-shaped sleeve that can hold approximately 50 to 100mL of fluid. The new stomach is around one quarter of the size of the previous stomach, which restricts the amount of food a person can eat. In addition, the surgery removes some of the cells in the stomach that make ghrelin, a hormone that controls hunger. Patients who have this surgery often find they do not feel as hungry as they did previously and feel full more quickly when they do eat, which reduces their food intake. For patients who have diabetes, this can improve and even resolve the illness, with patients no longer needing to take anti-diabetic medication. Unlike gastric bypass, where the food is passed into a small portion of the stomach and then directly into the small intestine, after sleeve gastrectomy, food passes along the usual route, rather than bypassing the digestive tract. 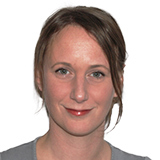 Food is therefore still absorbed and patients are less likely to need vitamin supplements. The procedure is usually performed using keyhole surgery, with the patient under anesthetic. It takes between two to four hours and the hospital stay is two days. Gastrectomy is not reversible. A surgeon makes several small incisions in the stomach, through which a laparoscope and surgical instruments are passed in order to remove part of the stomach. Staples are used to seal closed the stomach that is left behind. The patient is taken to a recovery area and vital signs such as blood pressure and heart rate are monitored by a healthcare team. The patient may have small tubular drains in their wound to drain excess fluid and a catheter may be needed to drain urine. The patient is put on a liquid-only diet for the remainder of their hospital stay. The patient’s stomach may feel sore. Patients need to arrange for someone to take them home on discharge as they will not be able to drive. Patients need to stay on the liquid diet for several weeks before moving on to soft foods. It can take up to six weeks before patients can move onto solid food. Patients must adhere strictly to the dietary recommendations they have been provided with. Once on solid foods, patients must maintain a healthy diet to help them lose weight. Usually patients can return to their usual day-to-day activities within two to four weeks.